And that doesn't include dessert! Thanks Chris and Randi and Bob and Cindy for hosting, and thanks to all of my family for a wonderful holiday. Heat oven to 450. In a small food processor, combine all ingredients except lamb. You can chop with a knife if you don't have a food processor. You should have a chunky green paste. Score fat on lamb and make several small incisions with a sharp knife into the lamb. 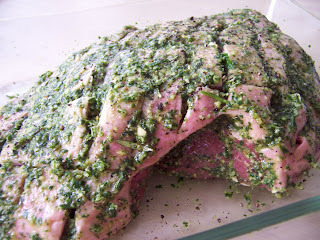 Spread all herb paste onto both sides of lamb, being sure to slide into pockets of meat. Place lamb fat side up (so fat can "melt" into the meat and keep it moist) and place in oven. Roast for 20 minutes, or just until beginning to crisp and brown. Reduce heat and cook at 250 for about 15-20 minutes per pound or until internal temperature reads 130 for rare and higher for more well done. Remove and tent with foil, the lamb will continue to cook for the next 10 minutes or so. Carve and serve. Sounds like an elegant and sumptuous Easter feast! Looks like you had a wonderful Easter dinner. I've never made lamb...yours looks amazing! Hi Susan, Kristen and Chris! Kristen - this was my first attempt at lamb too - scary for an easter dinner, but I figured at least the ham would save us if the lamb was bad. 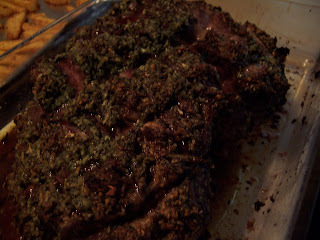 However, the lamb was SO easy and SO good that I'll make it a lot more often. - half cup of mint leaves, finely chopped. I throw in a few pinches of sugar when chopping to help grind the flavors. - put it a cup with half water, have vinegar. Add more sugar if needed. Let the flavors meld for an hour or more. How ironic that you posted this two Easter's ago and now I'm trying to make this lamb for the first time ever. I was at the store and couldn't pass up a 6 lb. leg of lamb for $15. Thanks for your tips and I'll let you know how it turned out! Thanks again and hope all is well! Julie in Hilton Head, SC. I tried this recipe for a 5 1/2 pound semi-bonless leg of lamb and it came out too undercooked. I had to slice the lamb and finish cooking it in the micorwave before I could serve it. Is the direction for 250 degrees correct or should it really be 350 degrees? Lamb is very nutritious that is why i prefer to cook lamb for my family or when my boyfriend comes to my house. i like when i see him very happy. In fact i am trying to get some recipes because i want to cook varieties. 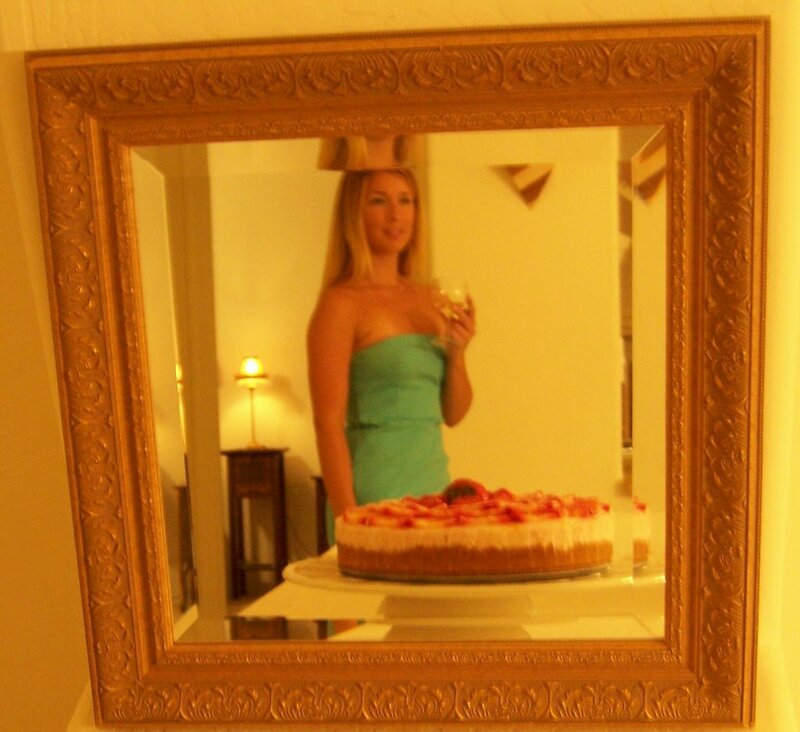 i think this blog is perfect because show many new ideas and is sure i will prove it. this blog is helpful. @Anonymous w/the undercooked 5.5lb piece, sorry to hear it didn't come out so well! Could the lamb have been still quite cold when you put it in the oven? I usually give my roasts about an hour out of the fridge to warm up, and they cook more evenly and quickly.